Chester’s tight turning track makes it one of the most draw dependant courses in the country and even it’s marathon distance Cup event is affected. 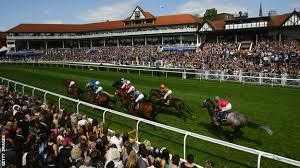 There’s only a furlong run to the first bend and low drawn runners can quickly secure a good position. You might be forgiven that owner Dr Marwan Koukash did the draw himself at his beloved Chester with 3 of his ‘Gabrial’ horses in the box seats. Just look at last year’s run of Angel Gabrial to see how the best horse in the race can get beat – alas video link not available to witness his last to first ‘around the field’ drive only to get run down in the final furlong . I don’t think Jamie Spencer could have done much else with the position he had but he may find himself trapped again and is carrying a massive 15lbs more in this race than he did then. Dr Koukash also has last years victor Suegioo lining up again but whereas that had an ideal draw 4 last year he is out in the car park at 16 this time round. Looking through the whole field there are an awful lot of runners who like to come from behind and there could be traffic problems for many. The race looks set up for something to control the pace from up front and stay out of trouble and I think there are two ideal candidates. Shu Lewis is unproven over this trip but runs like it shouldn’t be a problem. She’s consistent and has run well enough against better animals to make me think here 100 rating is perfectly fair. At 9 she may look a veteran age but it should be remembered that she only began racing at 5. This horse really doesn’t mind being up front and I don’t think they will have to go that strong too early to make full use of this advantage on him. Trip to Paris (drawn 11) was the one I was looking at most before the draw. With not too many pacesetters drawn inside I still wouldn’t totally rule him out. However all his form is on quicker ground and the forecast rain is a bit of a concern there. Both picks were well backed by the time of the race (17/2 and 11/1 at the off) but while Buthelezi had the earluy postion I had hoped for, neither were ultimately good enough on the day. Rather annoyingly it was Trip to Paris who was a good winner – if the ground had been a little better he might well have been a recommendation!